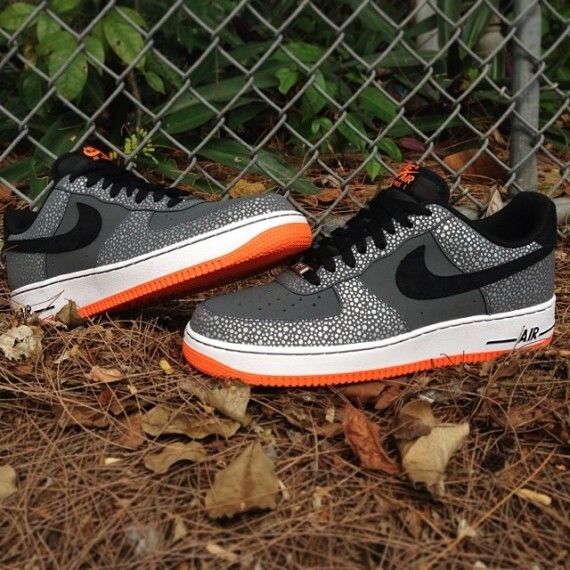 The 'Safari' Foamposite One's AF1 sidekick will be hitting select retailers next week. Not the first safari-covered Air Force 1 we've seen released by Nike, this particular take on the design incoporates 3M reflective safari print over the toe and heel panels. Black Swoosh logos match the black laces, while a white/orange Air Force 1 sole sits below. The 'Safari' Air Force 1 Low will be available next Friday, November 20th at select Nike Sportswear accounts such as Sole Fly.